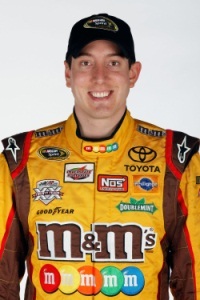 Article first published as Kyle Busch is Fast in the Wrong Places on Technorati. Kyle Busch has been called reckless many times. Now he has the traffic citation to prove it. On Tuesday, Busch was observed by officers of the Iredell County Sheriff’s Department, driving a yellow Lexus sports car recklessly on congested country rounds. They clocked the vehicle doing nearly three times the posted speed limit at 128 mph in a 45 zone. Talk about the need for speed. That part of North Carolina is somewhat congested at that time of the day. Many residents were outraged that Busch seemed to get preferential treatment due to his celebrity status. The sheriff’s department defended their handling of the traffic stop saying the officer was within policy to cite and release the NASCAR driver. Thank you for the apology Mister Busch, but this isn’t over. Although still a misdemeanor, the excessive speed involved should garner some penalties in line with the excess. Busch will have to appear in court and faces the possible suspension of his driver’s license for up to 12 months and pay a fine of up to $1,000. Driving a stock car does not require a legal driver’s license. If history is a guidepost, celebrity traffic stops usually are nothing more than a nuisance for the parties involved and rarely translate to heavy penalties. I hope the county court system sees this as an opportunity to send a message that recklessness has its price and will not be tolerated regardless of celebrity status. At this time NASCAR has stated the citation will not impact the driver’s racing eligibility. Joe Gibbs Racing has stated they are aware of the event and are investigating internally. I wonder what they are investigating? Maybe it’s so they can sign the officer who caught Kyle to a big fat racing contract. In other news there are a couple of pretty big races this memorial day weekend. The Indianapolis 500 and the Coca-Cola 600 from Charlotte. This entry was posted in Motorsports and tagged Joe Gibbs Racing, Kyle Busch, NASCAR, postaday2011, Traffic Stop on May 26, 2011 by Mickey Mills.